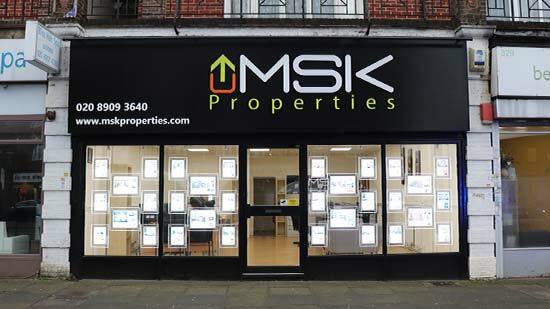 MSK Properties set up by Andy Patel, Director, with over 25 years experience in the property sector. Awarded the 2007 Who's Who in Property and the Global Register's Who's Who in Executives and Professionals. Andy Patel started his career 25 years ago working for a national corporate estate agency. He worked his way up the ranks from Trainee Negotiator to Senior Branch Manager before opening up his own independent estate agency in 1999. He went on to sell his company in 2008 and worked in Dubai's property market for a short time before returning to London. In February 2010 Andy Patel opened up MSK Properties and has had a successful start to his new venture. MSK Properties, situated at 331 Kenton Road, is off to a flying start. The spacious and modern office, which opened on February 1st 2010 has a very friendly and welcoming atmosphere and experienced staff to deal with all sales and lettings enquiries. Situated within a busy parade of shops, MSK Properties benefits from a high volume of passing trade. The office deals with sales, residential lettings and management, commercial sales and lettings and has a separate mortgage department. MSK Properties believes in a flexible approach when negotiating fees and understands that every client has a different need. Staff work closely with their clients and offer a service individually tailored to suit their needs. Offering competitive rates and a service second to none, MSK Properties should be your first stop. Contact the office today and take advantage of their low fees.